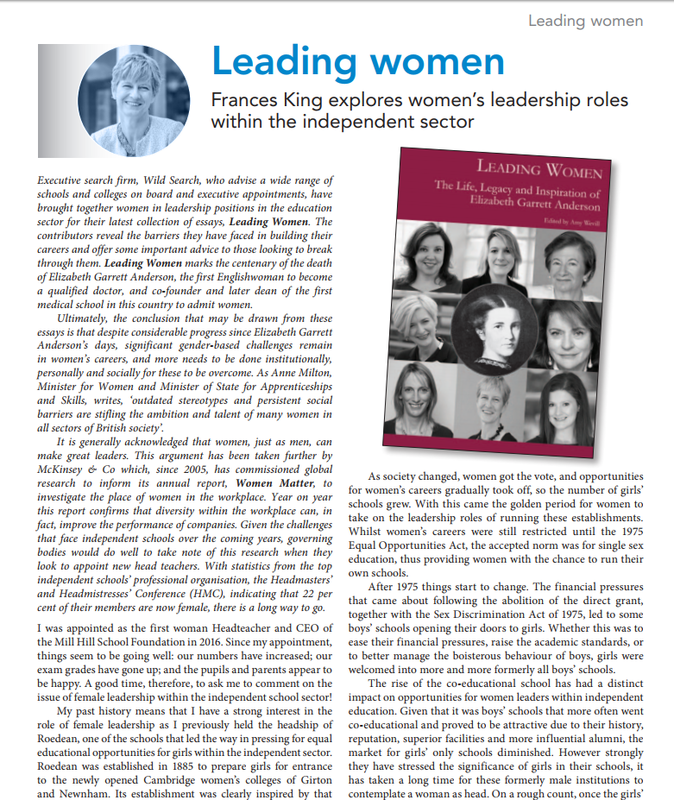 Frances King explores women’s leadership roles within the independent sector. brought together women in leadership positions in the education sector for their latest collection of essays, Leading Women. The contributors reveal the barriers they have faced in building their careers and offer some important advice to those looking to break through them. Leading Women marks the centenary of the death of Elizabeth Garrett Anderson, the first Englishwoman to become a qualified doctor, and co-founder and later dean of the first medical school in this country to admit women.